We try to build confidence by encouraging self respect and respect for others. Teaching, first and foremost that we are a Martial Art, not a sport or a street self defense system. We teach Chinese Martial Arts Kung Fu in a traditional and sincere manner, but with constant regard to practical requirements. We believe in the development of character, both in our young and mature students alike and that a healthy body is a healthy mind. We teach adult and childrens classes. We teach everything from basic self defense and traditional forms, right through to weapons training, boxing and fitness. We also include the mind, body and spirit and how one can grow in all aspects of life. Even though classes are enjoyable, discipline is enforced. Our goal at Shaolin Quanshu is to help our students develop a balance in their lives, and we offer the perfect balance of physical fitness, practical self-defense and character-building. 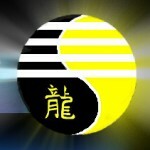 self-discipline to suit all of your needs as a martial artist. We have adult and Children’s classes. The classes consist of groups, if you wish to have a one to one session, please contact us.